Kathrine Melia Aragon was born and raised in Minnesota and was graduated from Michigan State University with a Master’s Degree in Music in 2005. She was certified as a yoga instructor through CorePowerYoga the following year. Core Power Yoga provides the community with a platform for life transformation through integrated wellness, authentic connection and charity of spirit. “We believe yoga can benefit everyone -- regardless of age or fitness level.” By making yoga accessible through extensive practice offerings and classes, Core Power strives to increase awareness and widespread adoption of this ancient healing practice. Yogacharya Srinidhi Baba began Kriya Yoga practice in 1988, and met his Guru, Paramahamsa Hariharananda five years later in New York. He describes the relationship with Hariharananda as “extremely precious, enlightening and blissful, filled with immense love and compassion.” He continued his studies in yoga and meditation at Homestead Ashram in South Florida, and went on from there to receive a PhD in Computer Science from Southern Methodist University, Dallas, Texas. Srinidhi and his wife Prathima founded the Denver Kriya Yoga Center in 1995 and have organized several Mountain Region Kriya Yoga retreats and fundraisers for Hariharananda Balashram, a residential school for disadvantaged children. Dell Brooks grew up in Houston, Texas, where he played trumpet and majored in Instrumental Music Education at Texas Southern University. He earned his Masters in Music Pedagogy from the University of Colorado at Boulder and taught music education in the Denver Public Schools for 16 years. In the early 1980’s, he traveled to Asia where he studied Vipassana meditation under the tutelage of the Venerable K. Wisuddi Thero, headmaster of the International Meditation Center in ?? Sri Lanka. Dell Brooks was awarded Vipassana teacher certification in 2003. He is the founder of Lotus Meditation Center in Denver, Colorado. Acharya Judith Simmer-Brown, Ph.D, is professor of Buddhist studies at Naropa University in Boulder, Colorado, where she has taught since 1978. She began her Dharma practice in 1971 with Zen master Shunryu Suzuki Roshi, and went on to study with the Ven. Chogyam Trungpa Rinpoche in 1974. She is currently director of the Ngedon School of Higher Learning, and serves on the Commission on the Status of Women and the Feminine Principle in Shambhala. Her special interest lies in the “feminine principle” as embodied in the Tibetan “dakini sky-dancer” lore. Her book, Dakini’s Warm Breath (Shambhala 2001), explores the feminine principle as it reveals itself in meditation practice and everyday life. Katy Charles is a practioner of Ashtanga yoga, and has completed advanced teacher training with Richard Freeman at The Yoga Workshop. She also has an active sitting meditation practice in the Thervada Buddhist tradition, and offers a balanced class of meditative vinyasa flow with an emphasis on internal form and technique. Her classes incorporate the concepts of pranayama (breathing), dristi (focused gaze) and mula bandha and uddiyana bandha (the control and flow of the body’s energies). Logical sequences of poses and awareness (mixed with a little humor!) make her class safe, challenging and fun! David Chernikoff began the practice of yoga and meditation in 1971 and has been teaching insight meditation (vipassana) since 1988. He initially trained as a yoga instructor at the Integral Yoga Institute and is a graduate of the Community Dharma Leader program at Spirit Rock Meditation Center. As the former director of education and training for the Spiritual Eldering Institute, he has taught conscious aging programs throughout the United States. His teaching has been influenced by the Tibetan lamas he encountered during a three-year stay in Nepal, as well as by Ram Dass, Father Thomas Keating, and Rabbi Zalman Schachter-Shalomi. He currently teaches meditation and transpersonal psychology at Naropa University, and maintains a private practice in psychotherapy and spiritual counseling in Boulder, Colorado. Rev. Jodo Cliff Clusin practiced closely with Katagiri Roshi at the Minnesota Zen Center from 1977 to 1989. He was ordained a Buddhist monk by Shoken Winecoff, Abbot of Ryumonji Zen Monastery, in 1994. Rev. Clusin has continued his practice under a wide variety of Buddhist teachers while offering traditional Soto Zen practice to an increasing number of students in Northern Colorado. A longtime student of Gurdjieff, Castaneda, and Krishnamurti, Jeff Combelic was introduced to Vipassana Meditation in 1981 by Sri Lankan teacher, Bhante Henepola Gunaratana. Seven years later, “Bhante G” gave him permission to teach. Jeffry has taught meditation at Englewood Federal Correctional Facility for fifteen years, and currently leads silent retreats at his “Kiva/Peace Chamber” in Gold Hill, Colorado. Jeffrey has also studied with Native-American mystic Joseph Rael (Beautiful Painted Arrow), with whom he has vision quested and sun danced. In his working life, Jeffrey owns JDC Construction/ Hybrid Homes, whose most notable project was the construction of the Boulder-Dushanbe Teahouse. John Congdon is a teacher of Centering Prayer, and a director of Contemplative Outreach of Colorado. He describes himself as an inter-spiritual seeker. “Spiritual practices,” he says, “are what lead us into the Mysterium Tremendum. The longer I’m on the path, the less I know!” A retired lawyer, he and his fellow teachers from the Center for Contemplative Living initiated a Centering Prayer ministry at Englewood Federal Correctional Institution near Denver, Colorado. He has made two trips to Europe to offer training programs on contemplative spirituality and is a frequent guest at Denver area churches, particularly those in the Protestant traditions. Carol Crutchlow was introduced to meditation at the Berkley Zendo in 1969. In 1970 she moved to Boulder, Colorado to study and practice with the late Chogyam Trungpa, Rinpoche, founder of the Shambhala Buddhist Lineage. She has continued her studies with the current lineage holder, Sakyong Mipham Rinpoche. She is a meditation instructor and senior teacher in both the Buddhadharma and Shambhala Dharma traditions, and currently serves as Resident Director of Shambhala Training in Boulder, Colorado. The Venerable Claude d’Estrée is Visiting Professor of Law at the Graduate School of International Studies, University of Denver, and currently serves as the University’s Buddhist Chaplain. He is a graduate of Harvard Divinity School, where he focused on comparative spiritual disciplines. A spiritual director and dharma teacher for over 25 years, he was named the first Buddhist Chaplain at Harvard by His Holiness the Dalai Lama. While raised in the Russian Orthodox Church and educated by the Jesuits, he is a lineage holder in both the Gelugpa tradition of Tibetan Buddhism and the Son (Zen) tradition of Korean Buddhism. Rabbi Brian Field was born and raised in Vancouver, British Columbia. After ordination at the Reconstructionist Rabbinical College in 1994, he served a number of congregations and worked as a hospital chaplain in New Jersey and Wisconsin. He moved to Denver in 2004 to become the rabbi of Judaism Your Way, a Denver-based outreach organization dedicated to cultivating the uniqueness of each person's and family's Jewishness. “Wherever you are on your Jewish journey,” reads the group’s motto, “we'll meet you there.” Rabbi Field serves on the steering committees of two interfaith organizations: We Believe Colorado, and the Abrahamic Initiative Program at St. John’s Cathedral in Denver. A student of the late Chogyam Trungpa Rinpoche and a dharma successor of Roshi Bernie Glassman, Sensei Fleet Maull is a senior teacher in both the Shambhala Buddhist and Zen Peacemaker communities. A leading social activist, he founded Prison Dharma Network and National Prison Hospice Association. He also directs the Peacemaker Institute, a leading provider of mindfulness-based leadership training and transformational retreats for community activists and peacemakers. He teaches at Naropa University, directs the Center for Contemplative End of Life Care, and is the author of Dharma in Hell (Prison Dharma Network, 2005). He leads meditation retreats and peacemaker trainings throughout the U.S. and Europe. In 1998, Nadya and Victor Gross received joint Rabbinic Smicha from Rabbi Zalman Schachter-Shalomi. Rabbi Nadya Gross, is director of Pardes Levavot: a Jewish Renewal Congregation. Committed to the creation of a conscious holy community, they bring to their work a spiritual and professional partnership of over 33 years. Rabbi Victor holds a. Ph.D. in Philosophy of Education and is the author of “Educating for Reverence: the Educational Philosophy of Abraham Joshua Heschel,” (Windham Hall Press). Nadya earned her MA in Sociology of Education and has trained in past life therapy, soul memory discovery, and childbirth education and labor support. Born in Nepal, Acharya Lama Tenpa Gyaltsen has been a monk since the age of 13. In 1991 he received the Acharya degree (Master of Buddhist Studies) from Karma Shri Nalanda Institute at Rumtek Monastery, and Sampurnan and Sanskrit University jointly. Under the guidance of Khenpo Tsültrim Gyamtso Rinpoche, he entered a three year retreat in Pullahari, Nepal in 1993. From 1997 to 2004, he served as resident teacher at Theksum Tashi Chöling in Hamburg, Germany. He is currently professor of Buddhist studies and Tibetan language at Naropa University in Boulder, Colorado where he translates Tibetan texts and trains new translators. He is also the principle teacher at Nalandabodhi Boulder. Danan Henry began his formal spiritual training in 1965 at the Gurdjieff Foundation in New York City. In 1975, he became a disciple of Philip Kapleau, Roshi, by whom he was ordained a Buddhist priest in 1986 and sanctioned to teach in 1989. Since 1990, he has traveled regularly to Honolulu, Hawaii to continue his formal Zen training under Robert Aitken, Roshi. Danan Henry is the spiritual director of the Zen Center of Denver, an affiliate of the Diamond Sangha, a worldwide network of Zen Centers in the Harada-Yasutani lineage under the direction of Robert Aitken Roshi. The Rev. Cynthia James is a lecturer, teacher, performing artist and author of the book “What Will Set You Free.” She currently serves as associate minister at Denver’s Mile Hi Church, one of the largest new thought spiritual centers in the world with a congregation of over 10,000 members. Rev. Cynthia teaches a form of meditation known as “Visioning.” Within the context of prayerful silence she asks questions pertinent to the individual or project at hand. 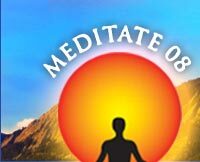 The meditator, through deep listening, accesses a place in consciousness wherein God’s plan is able to manifest itself. Rev. Cynthia lives in the beautiful mountains of Colorado with her husband Carl. Imam Ibrahim Kazerooni was born in 1958 in the holy city of Al-Najaf, Southern Iraq to a family of prominent Shiite clerics. At the age of 15, he was arrested and tortured by Saddam Hussein’s secret police. He fled to Iran where he was able to complete his theological studies. He has taught Comparative Mysticism, Introduction to Islamic Law and Theology, Qur’anic Exegeses, Islamic History, and the History of Hadith. Kazerooni was elected Director of the Abrahamic Initiative Program at St. John’s Cathedral and is a member of the Board of Religious Advisers to the Denver Chief of Police. Born and educated in Ireland, Veronica McHugh has been a student and teacher with the Brahma Kumaris World Spiritual University for 32 years. She is also on the organizing committee of Images and Voices of Hope, an international conversation on the social impact of public images and stories. This initiative is intended to connect and expand the community of journalists, artists and media professionals who are consciously exploring ways of telling a story of hope at home and around the world. Dr. Mischke is a longtime teacher of Christian Centering Prayer. He works with Father Thomas Keating, and is Co-Director of the Center for Spiritual Transformation. Retired early from the medical profession, he helped establish a mountain retreat center near Echo Lake in the Colorado Rockies. “I’m working,” he says, “to discover ways to open the heart, consciously evolve, integrate spiritual principles into daily life, and support others on their journey.” He’s inspired by complimentary teachings from both the Eastern and Western traditions, and believes that transformation occurs through an authentic daily practice of mindfulness and prayer. Steven Norber first encountered yoga as an academic study in high school in 1976. Unaware at the time of how significant it would become in his life, he initially pursued dance as spiritual path. A bicycle accident resulting in traumatic brain injury lead him to rekindle his interest in yoga and meditation. At a workshop taught by Francois Raoult in 2002, it became clear to him that Iyengar yoga was the path he needed to follow. His teaching reflects his joy in the practice, and his deep gratitude for the guidance and support he’s received from the Iyengar community. Shinko Ilia Perez, Sensei became a Zen teacher in 2000 after 20 years of training with prominent Zen masters. She has been teaching and leading Zen retreats and is now co-spiritual director of the Great Mountain Zen Center, Lafayette, CO. She is the co-author of The Great Heart Way and the creator and leader of Great Heart retreats. She has led retreats in the Caribbean, Mexico and throughout the United States. Opalanga Pugh is resident “griot,” storyteller and facilitator in the International Career Advancement Program (ICAP) at University of Denver Graduate School of International Studies. She’s a master storyteller, “urban griot,” and spiritual teacher. A Denver native, she has shared her sacred storytelling throughout the United States, Canada, West Africa, and the Caribbean. Ms. Pugh uses story as a tool for personal/spiritual transformation. In her own spiritual practice she merges West African spirituality, Christianity, and Buddhist meditation. Through storytelling, music, chanting, and silent contemplation, she leads her listeners into profound states of spiritual unfolding. Westerners love Anyen Rinpoche for his humor, directness, and ability to bring the traditional teachings of Tibetan Buddhism to life in a way that is pertinent, practical and easy to understand. Rinpoche grew up in a small village in the high mountains of Amdo, Tibet. Trained as a scholar, he became the heart student of the great realized master Tsara Dharmakirit Rinpoche, holder of an uncut, pristine lineage that extends directly from Patrul Rinpoche. Anyen Rinpoche teaches meditation and shedra - intensive Buddhist study. The Rev. Ashley Seaman serves as pastor to two separate congregations in northwest Denver. One is North Presbyterian Church - an edgy, eclectic group of people who gather to worship and serve meals to the hungry. The other is The Threshold, a new spiritual opportunity for people who thought they would never come back to church. Threshold seeks to create an evocative and transformative space within which to experience God. Rev. Seaman’s work is supplemented by her service to the World Council of Churches on behalf of the Presbyterian Church (U.S.A.), as well as through the practice of a healing modality called "deeksha," or Oneness Blessing. R. B. Stewart, current Abbot of Fort Collins Zen Center, was born and raised in New England. He studied fine arts and physics at UC Berkeley, and met Zen Master Seung Sahn shortly after graduation. In 1987 he traveled to Korea to practice at Su Dok Sah Monastery. He was awarded an MA in contemplative psychotherapy in 1994 from the Naropa Institute, and worked for a number of years as principal therapist and admissions coordinator at Windhorse Associates, a non-profit residential therapeutic community in Northampton, Massachusetts. He’s also been a carpenter, designer, and stay-at-home dad. Dr. Lois Vanderkooi is a psychologist in private practice who uses Mindfulness Meditation in treating her clients. She did her dissertation on methods used by Buddhist teachers to work with extreme mental states. In 2000, she did a professional training course in Mindfulness-Based Stress Reduction with Dr. Jon Kabat-Zinn and Saki Santorelli, going on to co-teach MBSR classes in Boulder for several years. She began her Buddhist practice in 1989 and today studies with teachers John Travis and Shinzen Young. She lives in Broomfield, Colorado and serves on the board of Sierra Retreats, helping to organize residential retreats in the Front Range area. A former Yoga, Chi Kung, and Meditation instructor, Meredith Vaughn and husband David studied with Dr. Madan Kataria to become certified Laughter Yoga leader-teachers. Together, they have brought laughter to rec centers, schools, prisons, church groups, and homeless shelters. They lead the Denver Laughter Club which meets every Monday at noon at the First Unitarian Church, 1400 Lafayette St. Laughter Yoga is a blend of laughter exercises, simple yogic stretches, diaphragmatic breathing and deep relaxation. Among the benefits of laughing are stress reduction, lowered blood pressure, increased oxygenation, endorphin release, depression and anxiety reduction, aerobic exercise, immune system enhancement, and connection with others. Reverend Jane E. Vennard was ordained to a special ministry of teaching and spiritual direction in the United Church of Christ. She is senior adjunct faculty of prayer and spirituality at The Iliff School of Theology. In addition, Reverend Vennard is a spiritual director in private practice, teaches classes in a variety of ecumenical settings, and leads retreats nationally. She is the author of six books, including Embracing the World: Praying for Justice and Peace, winner of the Colorado Book Award. Coly Vulpiani worked for over thirty years as a master craftsman specializing in fine wood-finishing, an activity that he says fostered “attention, patience, and a particular kind of awareness that gave rise to a spiritual awakening.” This in turn lead him to years of Zen meditation and intensive training as a spiritual counselor and facilitator of western psycho-spiritual methodologies. “Parallel Realities Practice,” a system of training that enables one to embrace without judgment the paradoxical realities of ones life, was inspired and informed by Coly’s training with Roshis Genpo Merzel and John Daido Loori; and by his study of Voice Dialogue with its developers, Doctors Hal and Sidra Stone. Gerry Shishin Wick, Roshi is founder of Great Mountain Zen Center in Lafayette, Colorado and a Dharma Successor of Taizan Maezumi Roshi. He has been a practitioner of Zen for more than 40 years. He has a PhD in physics from Berkeley and has worked as a professor of physics, oceanography and Buddhist studies. He is the author of a book on Zen koans, The Book of Equanimity and co-author of The Great Heart Way. David Atekpatzin Young is an Apache curandero (traditional healer) and spiritual leader of the Iglesia de Aztlan, a Native People’s Community Church. He is the founder and organizer of the annual International Wenakuo Traditional Spiritual Retreat, and the National Two Spirit Society. He also founded Kalmeka Aztlan, a school specializing in indigenous traditional medicine. Mr. Young has taught courses at Naropa University, and has been a guest lecturer at the University of Colorado, Denver Metropolitan State College, Denver University, the University of Washington and at conferences throughout North America and Spain.